Laverne Cox Wows the Runway Closing 11 Honore NYFW Show! Laverne Cox is slaying New York Fashion Week! The 46-year-old Orange is the New Black star wowed on the runway closing the 11 Honore Fashion Show held on Wednesday afternoon (February 6) at Gallery I at Spring Studios in New York City. This is 11 Honore‘s first fashion show for the brand that only carries plus size clothes from designers. “What an incredible honor to close @11honore’s first fashion show with these incredible women who represent the size diversity of the women of America. Thank you for existing @11honore and for giving me this incredible honor. …thank you @zacposen for the gown of LIFE!!! #TransIsBeautiful #SizeInclusivity #SizeDiversity,” Laverne wrote on Instagram along with a video of her strut. FYI: Laverne is wearing a Zac Posen gown and Ippolita jewelry. 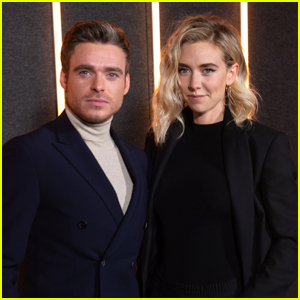 Richard Madden Joins Vanessa Kirby at BOSS NYFW Show! Kerry Washington, Shailene Woodley, & Tracee Ellis Ross Step Out for Marc Jacobs' NYFW Show! Gigi & Bella Hadid Join Kaia Gerber on the Michael Kors Runway! Kate Hudson, Priyanka Chopra & Kerry Washington Sit Front Row at Michael Kors NYFW Show! Maggie Gyllenhaal, Paris Hilton & More Step Out for Oscar De La Renta NYFW Show! Bella Hadid Stuns on the Oscar de la Renta Runway at NYFW! Paris Hilton & Lil Kim Slay the Runway at The Blonds NYFW Show! 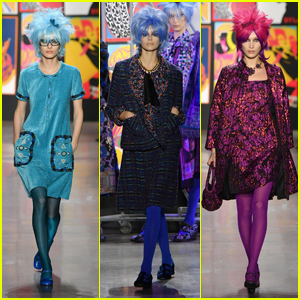 Taylor Hill, Kaia Gerber & Bella Hadid Hit the Runway at the Anna Sui Show During NYFW 2019! Gigi Hadid Attends Launch of WARDROBE.NYC Store During NYFW 2019! Hailey Bieber Attends Zadig & Voltaire's NYFW 2019 Show! Rosario Dawson & Ashley Graham Have Fun at NYFW Shows!